it's about time for a new review from the test lab of your craft oracle again! Today again something from the peripheral world of Cooler Master and CM Storm namely the CM Storm Ceres-500 Gaming Headset. The last tested CM Storm Pulse-R was able to score with a good sound, a great look, excellent build quality, and refined features. Whether the CM Storm could keep up with the Ceres-500 level or even increase it I want to clarify with the following test. Unlike the Pulse-R, the Ceres-500 does not therefore in a cardboard slipcase. The board, however, is just designed as in the Pulse-R.
On the front of the box is the company logo from Cooler Master and CM Storm, a great image of the headset as well as the product name and a brief product description. On the one hand, the specifications can be found on the other is a recess that allows a first look at the headset. In addition, it is shown on this page, the systems in which one of the CM Storm Ceres-500 can connect, because this is a special feature of the headset. Namely one has the possibility to connect the headset not only on PC but also third on the XBOX 360 and the Playstation 3 and 4. 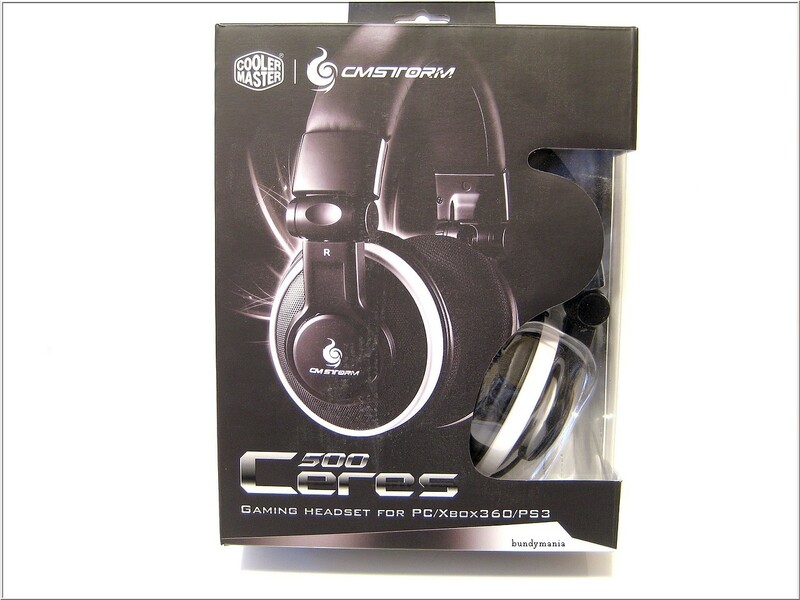 On the back is another picture that shows the headset as a whole, as well as some details, including a list of some features of the CM Storm Ceres-500 is located. The headset is also housed in a blister pack, so it can not be damaged during transport. This ensures that the customer gets a perfect product. You will receive this headset with a detachable microphone, the accessory cables for the use of the headset to the console previously mentioned as well as a small wired remote control, which one has the possibility to switch between PC and console mode. In addition, one has the possibility to adjust the volume of audio playback, control the volume of the microphone and you have the possibility via a small switch on the microphone to switch completely silent. Whether the microphone is muted or not is indicated by a built-in LED. If it lights white is the microphone on, if it light red, it is muted. Unpacked makes the CM Storm Ceres-500 a very good figure. The workmanship is impeccable and the appearance very appealing. Although plastic was almost exclusively used, but an inferior impression makes the headset in any way. Only the Wired remote control of the headset can not really keep up with the headset in terms of processing. So it rattles for example when shaken slightly. 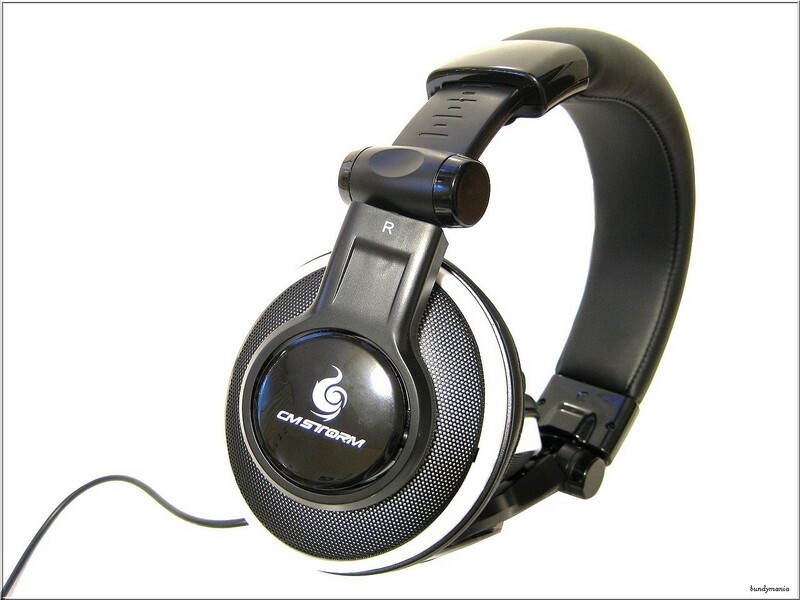 The ear pads of the CM Storm Ceres-500 are really very soft and quite large. This causes the ear to enclose completely, so there are no pressure on the ears. This gives the headset a huge comfort, which for example also wear glasses should be very happy because the earpads of many headsets press quite hard on the bow of the glasses and after a certain time can be quite unpleasant. As he not only that, the bracket is also lined with foam, so that nothing pushes hard against the top of the head. Also, the general pressure of the headset is very balanced. How long game, movie or music night might be, there is nothing in the way for that. The cable and the connector for the microphone of the headset are as usual on the left. Through the half-open design, it creates the headset does not completely decimate ambient noise. However, they are still minimized to a good extent, so that eg an ongoing television in the background is likely to do the game no abort. The other way, however, it may be that other people might be disturbed by the sounds that can be heard from the headset. Now we come to the sound of the CM Storm Ceres-500. Were used here the game Battlefield 4 on the PC, as well as music of different styles. An episode of Breaking Bad was seen with the headset on the Playstation 3. The CM Storm Ceres-500 can score with beautiful differentiated heights. The mids are unfortunately slightly and the bass could be a bit punchy in general. So you have to say, unfortunately, that in terms of sound, the previous tested CM Storm Pulse-R has the edge. The microphone on the other hand serves us well. The noise reduction works well and my interlocutors could understand me very well always. 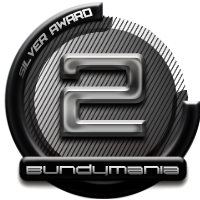 The CM Storm Ceres Gaming Headset gets the Bundymania Silver Award ! The comfort of the CM Storm Ceres-500 is truly enormous. In this price range it looks here definitely has no equal. The build quality is also very good. Unfortunately, CM Storm has almost exclusively relied on just plastic, but this walk and add in this price range, but as you can see on the Pulse-R not a must. The sound of the headset is good, but not outstanding. The highs are great, unfortunately the mids and the bass can not keep up. At a price from around 60 Euro you can not complain here and get a good product with a very high wearing comfort delivered.